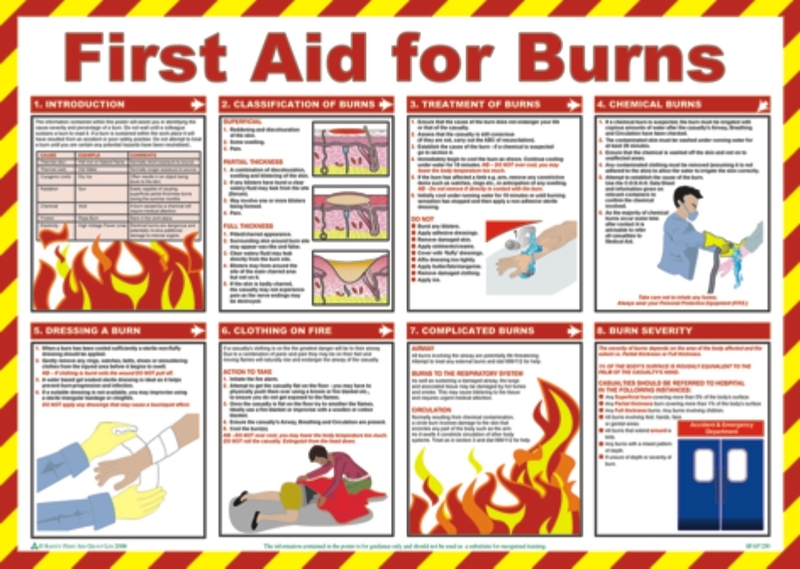 This A2 laminated poster for the workplace provides a wealth of information on first aid procedures. 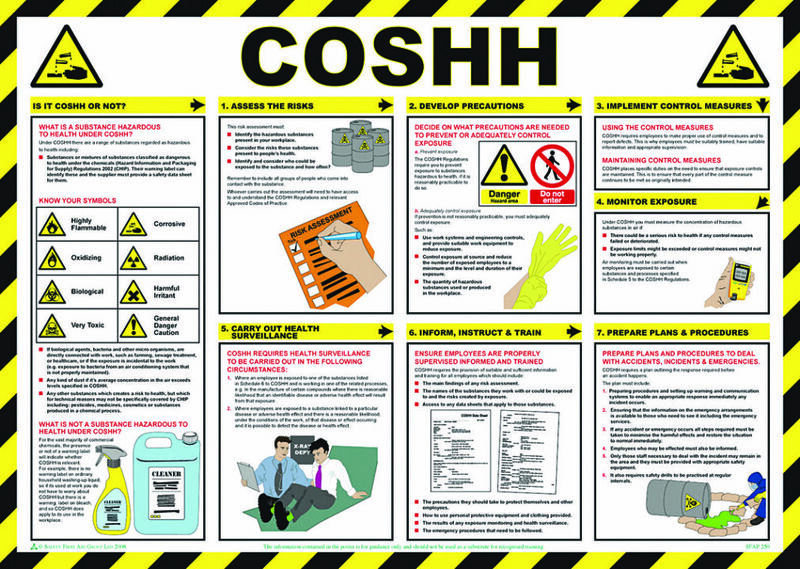 This product is a crucial addition to any office or commercial building. 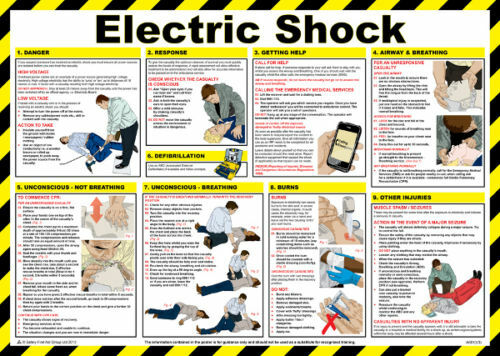 The instructions on this poster can be followed in virtually any emergency to ensure essential help and support is given to anyone who has suffered an injury or has become unwell at work. 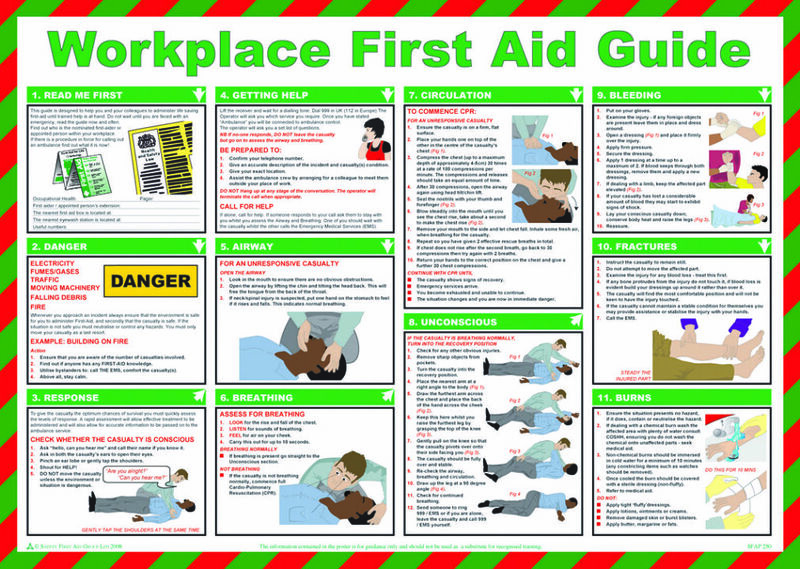 As well as listing first-response information for airway obstructions, breathing difficulties, circulation problems, bleeding, fractures, burns and loss of consciousness, the workplace first aid poster also contains space for details on the premises’ own first aid policy, including the name of the appointed first aider.